From time to time we like to share testimonials and real world arena experience with REALice. 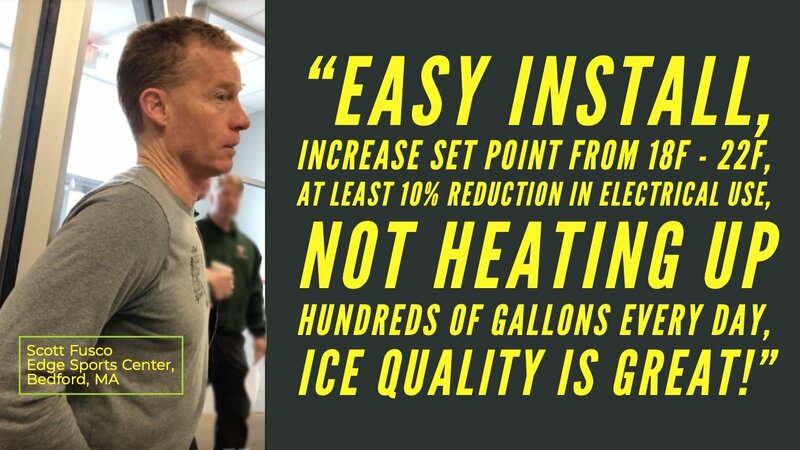 Recently, Scott Fusco, one of the GMs at Edge Sports Center, a busy two-pad facility in Massachusetts, took time to comment on their positive experience making the REALice switch. Scott talks about the installation, the savings so far, the technical support they needed briefly from our staff making slight adjustments to the set point and the great ice quality they now have. We love hearing from our customers after they’ve made the switch from hot water resurfacing to REALice. Globally, there over 500 REALice technology installations and stories much like Scott’s.